Checked out The Avengers - Infinity War. Long movie but still good if you are a franchise fan of the Avengers. Lots of twists and turns and heroes dying... that said, there are movies planned for the future, so don't think they are all dead, yet. Plus, the comment made by Dr. Strangelove hints towards an explanation of what happened in this movie. Bottom-line: If you are a Marvel Fan, all is well. If not, then okay to wait for the DVD. PS: There is a short-snippet at the end... the very end, of the credits. Liam Neeson as an ex-cop turned Insurance Salesman who gets fired. On his way home, he is offered an opportunity to makes some money... find someone on the train and kill them. Good movie but had some slow spots. 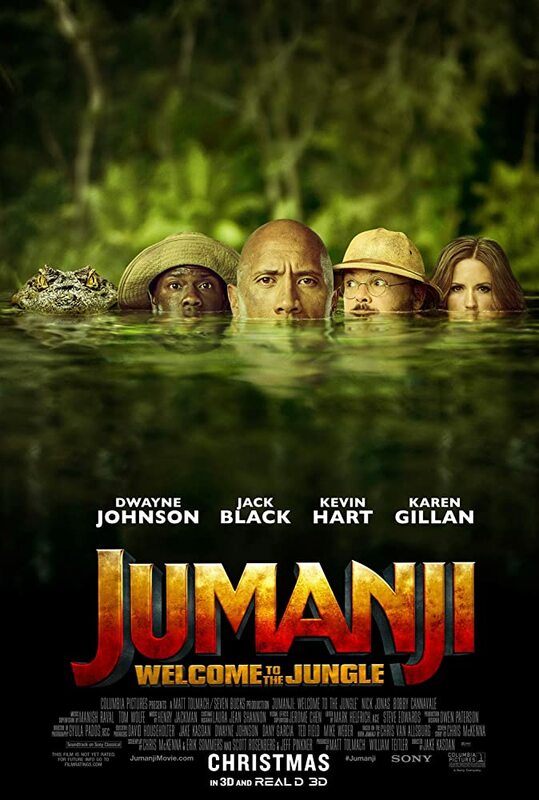 Pleasant surprise to this sequel to Jumanji! This starts off in 1996 and takes up again in 2017. Great cast and story line. Liked how they transitioned this one to the 21st Century. Safe first date movie... do rent it when you get the chance!